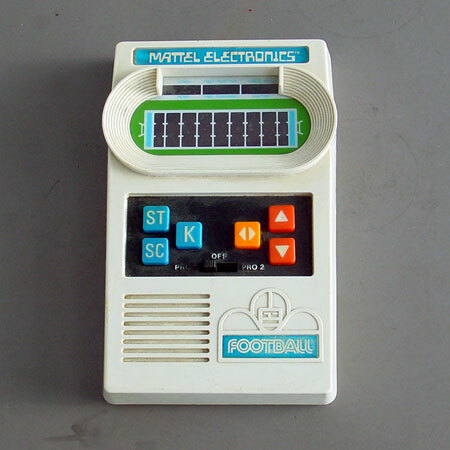 One of the very early electronic games. Funny enough it has a 9 yard playing field, instead of 10 (a mistake by the designer). More than a million games were sold in the first year. 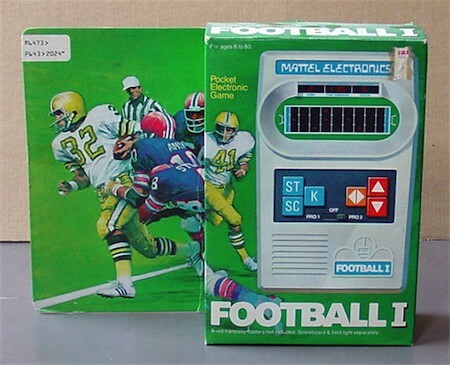 In 1978 it was followed up by Football 2. This is one of the games that MATTEL has re-released in 2001.